Hop..hop……hop………shhh! 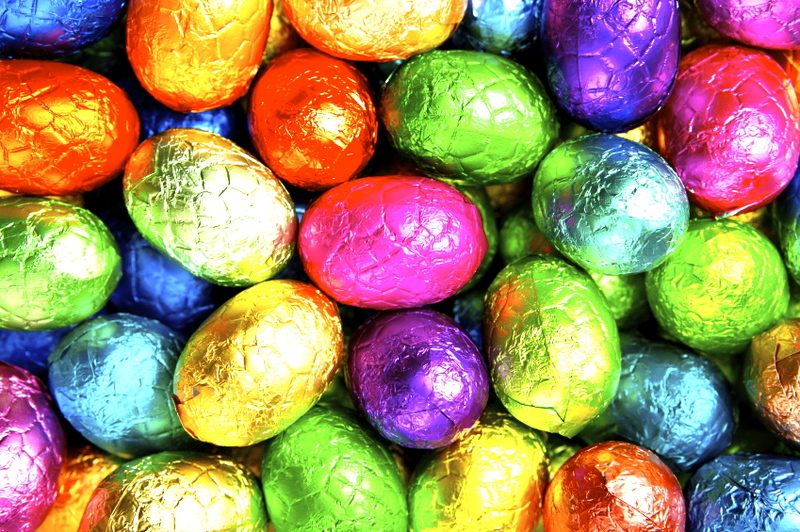 The Easter Bunny is in town and has come to visit with a host of decadent chocolate treats for all! Easter marks the end of Lent, a period of 40 days fasting and a time that symbolises rebirth and new life. Easter eggs date back to the early 1800s and remain an ever popular expression of the joy and celebration of this special time. or simply spread eating them across a number of days so you don’t over indulge*. Whatever you decide, have a EGG-tra (get it?) special beautiful Springtime and sunshine filled Easter. And don’t forget that eggs are a great form of protein and can be boiled, poached and scrambled along with a host of other ways of incorporating them into our diets, healthily. For easy to make and simple to follow recipes, then follow this blog at www.forfoodlovers.wordpress.com and hop over (get it? Easter Bunny…hop…?) at Twitter @Love_Food_UK. The Cooking Whiz is also on Mumsnet and Facebook.